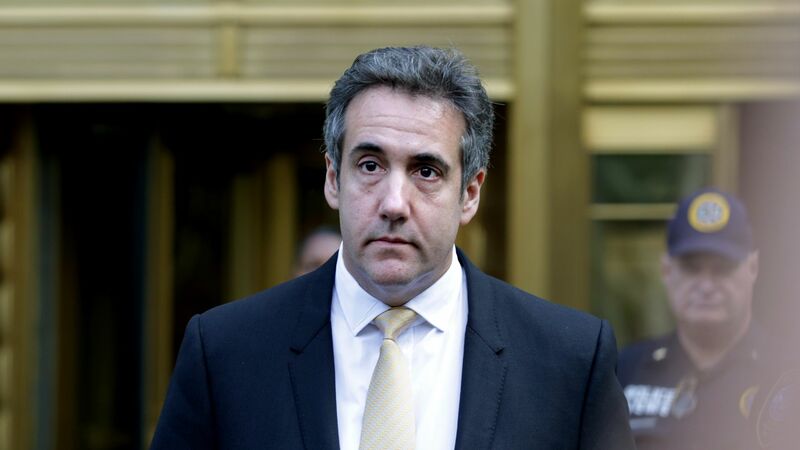 Prosecutors from New York’s Southern District are recommending a "substantial term of imprisonment" for President Trump's former lawyer, Michael Cohen, for campaign finance and tax violations, as well as lying to Congress, despite his cooperation with the investigation. Mueller's team disclosed that a Russian national reached out to Cohen in November 2015 and claimed they could offer the Trump campaign "synergy on a government level." The federal prosecutors revealed that Cohen paid off two women "in coordination with and at the direction of" then-candidate Donald Trump — described as "Individual 1" — to hide his extramarital affairs. Mueller and his team are not taking a position on what amount of prison time Cohen should serve, but said "any sentence of incarceration" the court in New York recommends would be "appropriate." Federal prosecutors noted that Cohen committed four "separate and serious" crimes over several years — "willful tax evasion, making false statements to a financial institution, illegal campaign contributions, and making false statements to Congress" — and recommended he serve 42 months in prison. Between 2012 and 2016, "Cohen evaded taxes by failing to report more than $4 million in income" to the IRS. In December 2015, Cohen applied for a home equity line and "made false statements about his net worth and monthly expenses" — the latest in a series of lies he told in credit applications. During the 2016 presidential campaign, Cohen paid off two women "in coordination with and at the direction of" then-candidate Donald Trump to suppress stories about affairs and prevent them from influencing the election. Cohen also made false statements to Congress, which have been outlined in his guilty plea in the Mueller investigation. Mueller's filing notes that Cohen has "gone to significant lengths to assist the Special Counsel's investigation" and has met with the special counsel's office on 7 occasions. Cohen provided information about his contacts with "Russian interests," including his and others’ involvement in the Moscow Project and Russians’ outreach to the campaign. In November 2015, a Russian national claiming to be a "trusted person" in the Russian Federation reached out and said they could offer the Trump campaign "synergy on a government level." The person repeatedly offered to set up a meeting between Trump and Vladimir Putin, but Cohen did not follow up on the invitation. "[B]y virtue of his regular contact with Company executives during the campaign," Cohen provided the Special Counsel's office "useful information concerning certain discrete Russia-related matters core to its investigation." The White House link: Cohen provided "relevant and useful information" about his contacts with "persons connected to the White House" from 2017 to 2018. What's next: Cohen has "committed to continuing to assist the [office's] investigations."